Share our love for Curacao! 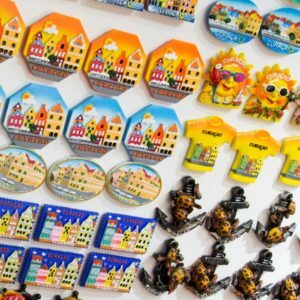 I Love Curacao offers a happy collection of souvenirs, ranging from colorful fridge magnets and shot glasses to travel diaries and photo frames. Explore our clothing line and swimwear and leave the island with a tropical look. Take a little piece of Curacao home with you.